Most of the COMM members belong to the School of Medicine on the University Campus in Homburg. In addition, a number of scientists from the Faculties of Natural Sciences & Technology and Mathematics & Computer Science are included in the center. While membership was originally reserved for Prinicpal Investigators of biomedical research networks, it is now also available for Senior and Young Scientists with respective research focusses. The overall goal of the COMM members is to provide new impulses for the diagnosis of various membrane-associated diseases and to develop new therapeutic approaches and they are active both, in basic and applied research. The research focus of the Robert Ernst group is on a better understanding of how organelles sense and maintain their physicochemical surface properties and intends to identify the portfolio of mechanisms by which organelles establish this task. 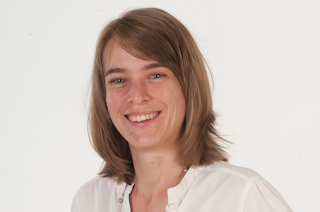 The lab of Bianca Schrul is interested in fundamental aspects of lipid droplet biogenesis and aims to understand how aberrant functions in lipid droplets contribute to human pathologies such as obesity, diabetes or cardiovascular diseases. Martin van der Laan and coworkers aim to answer the question, how the characteristic morphology of the inner mitochondrial membrane is generated and maintained. Furthermore, they investigate sorting and assembly of Mitochondrial Membrane Proteins. 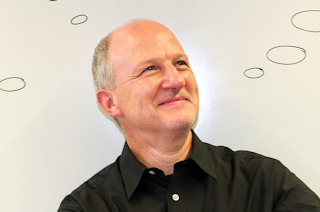 David Mick`s lab works on the identification of the protein content of cilia in different cell types and aims to clarify how cilia transform external signals into cellular responses. The Zimmermann group studies the mechanism and the regulation of the protein translocase that mediates cotranslational insertion of proteins into the membrane of the endoplasmic reticulum. The Schlenstedt lab investigates nucleocytoplasmic transport of macromolecules across the nuclear pore complex and studies the import and export of proteins and RNAs. The Lang group studies protein targeting events to the ER membrane as well as aberrations of the regulated protein and calcium flux across the ER membrane in pathophysiological situations. Martin Jung works on the biochemical and biophysical characterization of transport processes at the endoplasmic reticulum in mammals and is responsible for the generation of antibodies and peptides for biochemical and cell biological applications. The research group of Franziska Lautenschläger deals with cellular biophysics, especially with the role of the cytoskeleton. 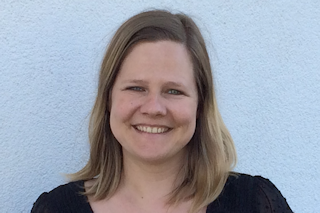 The group of Katrin Philippar aims to clarify the plant physiological role and to functional characterize the membrane transport systems for the uptake of iron and the export of fatty acids via the envelope membranes of chloroplasts. The Thiel lab studies gene transcription and signal transduction pathways in cells of the endocrine and nervous systems and is interested in elucidating the role of stimulus-induced protein kinases and second messengers. 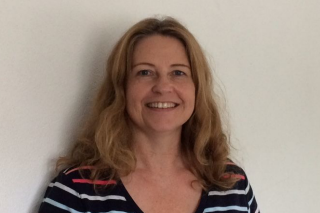 Ute Becherer´s group is interested in the understanding of the molecular mechanisms of regulated exocytosis, the basis of neurotransmitter release during synaptic transmission. Research in the Boehm lab focuses on the question of how the brain controls innate, stereotypical behavior e.g. which signals trigger the onset of puberty and how these signals are processed in the brain. 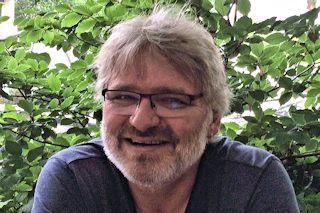 The research of Dieter Bruns and co-workers focus on the molecular mechanisms of exocytosis that is central to communication between nerve cells. 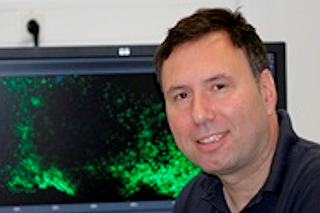 Research in the Rettig lab is directed towards elucidating the molecular mechanisms underlying synaptic transmission in neurons, neuroendocrine cells and immune cells. The research of the Kirchhoff group focuses on the molecular and cellular mechanisms of neuron-glia interaction in the central nervous system. Varsha Pattu investigates the putative endocytosis of lytic granules with high-resolution methods like structured illumination microscopy (SIM), total internal reflection fluorescence microscopy (TIRFM) and confocal laser-scanning microscopy. 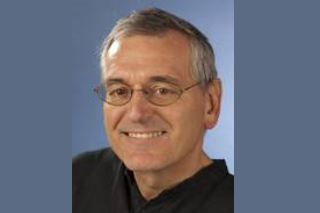 Elmar Krause is investigating proteins which may be involved in the secretion of cytotoxic substances using high resolution microscopy and TIRF microscopy, patch clamp, FACS, as well as genetic engineering and biochemical methods. The Flockerzi lab investigates protein structures, functions and pharmacological influence of voltage-dependent Ca and ion channels (TRP family) and the significance of these for cardiac action, insulin release, pain perception and tumor development. The research group around Adolfo Cavalié investigates central aspects of the Ca homeostasis in mammalian cells, i.e. the function and regulation of ion channels localized in the plasma membrane such as voltage-dependent Ca channels. 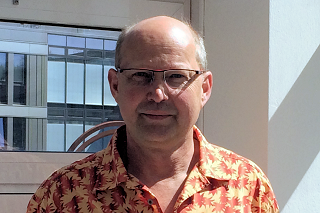 Markus Hoth`s group focus on calcium channels of the immunological synapse and the understanding of certain diseases of the immune system. The Niemeyer lab investigates the regulation of calcium selective ion channels on a molecular level, by their environment and by other intracellular signalling cascades in primary T cells from healthy donors and from patiients with immune disorders. 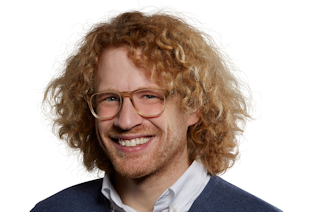 Stephan Philipp from the Flockerzi lab investigates protein structures, functions and pharmacological influence of voltage-dependent Ca and ion channels (TRP family) and the significance of these for cardiac action, insulin release, pain perception and tumor development. 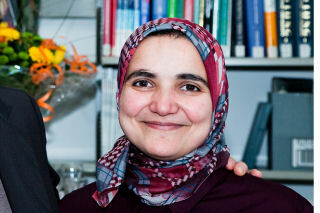 Dalia Alansary investigates consequences of disturbances of calcium homeostasis and dysfunction of channels related to calcium fluxes on the immune system. 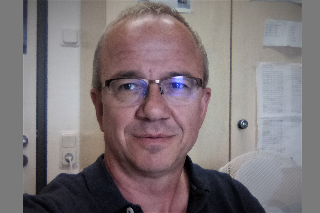 The research focus of Andreas Beck is on the unctional characterization of TRP proteins and voltage-activated calcium channels and on TRP proteins in astrocytes and microglial cells. 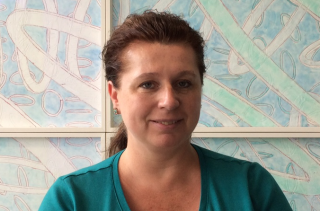 Claudia Fecher-Trost investigates the functional role of TRPV6 channels in the placenta, e.g. the contribution of TRPV6 to maternal/fetal Calcium transport and placental Calcium homeostasis. The research focus of the Weißberger group is on the generation and analysis of gentically modified mouse lines and the analysis of ebryonic phenotypes and fertility disorders. 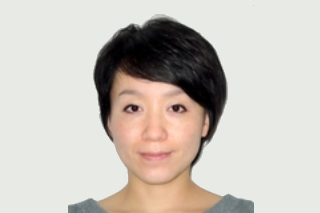 Bin Qu is interested in the transport, polarization and self-organization of vesicles in T cells and analyses the dynamics of organelle transport and their influence on spatiotemporal Calcium dynamics at the immune synapse. The research focus of Anouar Belkacemi is on protein structures, functions and pharmacological influence of voltage-dependent Calcium and Ion channels (TRP family). 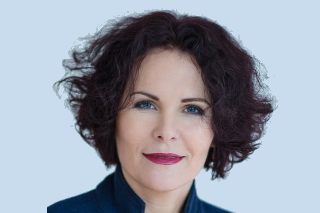 The group of Jutta Engel focusses on the function of mammalian hair cells and is especially interested in the electrical properties of hair cells and the transduction via release of neurotransmitter. The overall goal of the Leinders-Zufall group is to investigate molecular membrane mechanisms underlying the recognition of specific signaling molecules in the olfactory system with endocrine and immune function. The Zufall group is interested in the function of sensory systems, especially the sense of smell and links their work in mice with human gene defects causing disease. 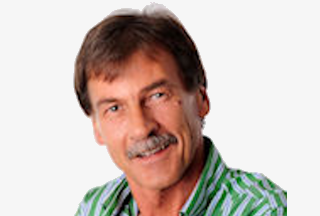 Bruce Morgan’s research focuses on cellular redox biology. In his group, new methods and techniques are developed to understand the regulation of different cellular redox species and their distribution within the cell. In addition, research is being conducted into how changes in the cellular redox species control the physiology and behaviour of cells. 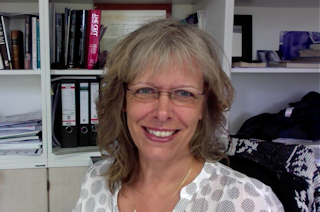 Goal of the research activities of the Lancaster group is to understand the function and mechanism of action of membrane proteins and membrane protein complexes on the basis of accurately determined three-dimensional structures, especially proteins involved in membrane transport processes and in signaling. The Schmitt group deals with microbial and viral A/B toxins and their uptake, intracellular transport and mode of action in yeast and mammalian cells and aims to develop particle vaccines, novel antifungal drugs and cell-based screening systems for potential tumor inhibitors in humans. The work of the Schmitz group focuses on the molecular and functional characterization of tonically active ribbon synapses in the retina. Mutations of genes involved in signaling at ribbon synapses, particularly at photoreceptor ribbon synapses, lead to retinal diseases that can result into blindness. 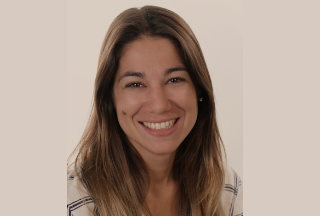 The lab of Leticia Prates-Roma studies the role of cellular reduction-oxidation (redox) changes in pancreatic islets during the progression of insulin resistance to diabetes, as well as the causal role of redox changes in cardiac myocytes remodeling. The Kiemer group deals with the characterization of cellular signal transduction pathways with a focus on pathogenesis of inflammatory diseases and is especially interested in the connection between metabolic and inflammatory processes. 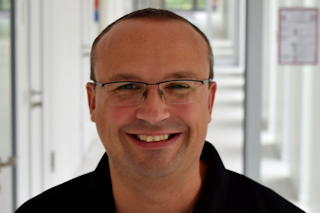 Michael Böhm is interested in particular on rhythmological questions (heart rhythm disorders), remodeling through mitochondrial oxidative stress (alteration processes of the heart muscle at cell level) and myocardial fibrosis (scarring processes of the heart muscle). Research in the Menger group focusses on inflammation biology, vascular pathophysiology, tumor biology and transplantation medicine. The scientific focus of the Sester group is on the regulation of cellular immune responses against clinically relevant pathogens and against donor tissue after organ transplantation. 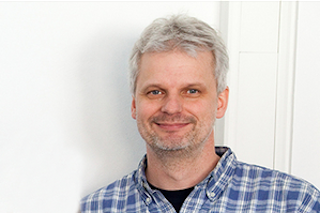 The research of Lars Kaestner focuses on circulation-related cellular signalling especially of red blood cells with the aim of developing approaches for new pharmacological therapies. The research focus of the Lipp group is on cardiologically and clinically oriented basic research. The group wants to understand the cellular causes and functions of cardiac arrhythmias with the aim of developing approaches for new pharmacological therapies. Research on the molecular pathophysiology of complex liver diseases is the focus of our research. The projects investigate the molecular and genetic basis of cholestasis and fibrosis, which represent the common mechanisms of all chronic liver diseases. 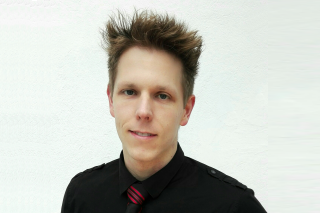 Mathias Hohl is interested in particular on rhythmological questions (heart rhythm disorders), remodeling through mitochondrial oxidative stress (alteration processes of the heart muscle at cell level) and myocardial fibrosis (scarring processes of the heart muscle). 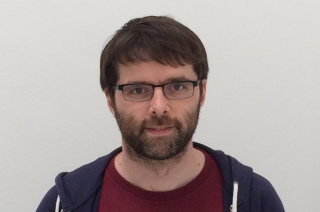 Dominik Linz is interested in particular on rhythmological questions (heart rhythm disorders), remodeling through mitochondrial oxidative stress (alteration processes of the heart muscle at cell level) and myocardial fibrosis (scarring processes of the heart muscle). The Rübe lab investigates the importance of radiation-induced DNA damage, both in vitro and in vivo in normal and tumor tissues by using different mouse models or analyzing human tissue samples. 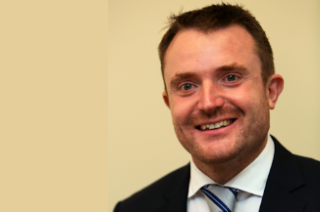 The scientific focus of the Fliser group is on research into cardiovascular complications and progression reduction in patients with chronic kidney disease. 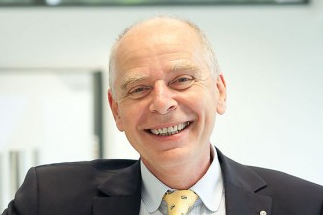 The Faßbender group is active in the field of neurodegenerative diseases, such as Alzheimer’s disease, as well as in the field of stroke research and uses a wide range of methods, ranging from basic scientific to clinical approaches..
Friedrich Grässer is interested in the contribution of the Epstein-Barr Virus (EBV) to the development of various human tumours with the aim to uncover the contribution of virus-coded microRNAs and virus-coded proteins to tumor development. The Hannig group investigates the elucidation of bioadhesion processes on oral surfaces at the molecular level and aims to create conditions for the development of new preventive strategies for inhibiting pathogenic biofilms as the cause of caries and periodontal disease. 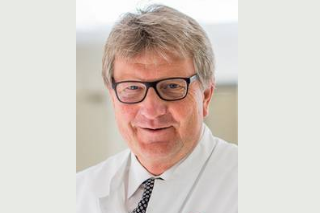 Research in the Laschke group focusses on inflammation biology, vascular pathophysiology, tumor biology and transplantation medicine. The scientific interest of the Yildiz group is the in-depth investigation of the immunological and molecular regulatory processes of ADAM proteases in acute and chronic pulmonary and cardiovascular diseases for the development of specific treatment options. 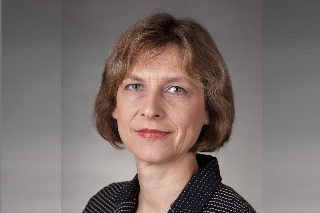 As head of the Clinical Study Center, Ingrid Kindermann takes care of patients who participate in clinical studies with new drugs and therapy procedures. The institute of Stefan Wagenpfeil supports clinical research and patient care at the Clinical Center through scientific cooperation in the field of biostatistical analysis and medical information processing. 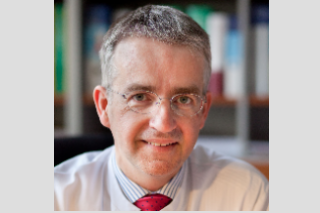 Thimoteus Speer deals with cardiovascular complications and progression reduction in patients with chronic kidney disease and supports the Institute of Medical Biometry, Epidemiology and Medical Informatics through scientific cooperation in the field of biostatistical analysis and medical information processing. 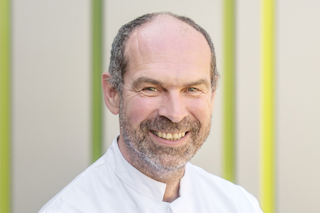 Christian Werner deals with cardiovascular complications and progression reduction in patients with chronic kidney disease and supports the Institute of Medical Biometry, Epidemiology and Medical Informatics through scientific cooperation in the field of biostatistical analysis and medical information processing. 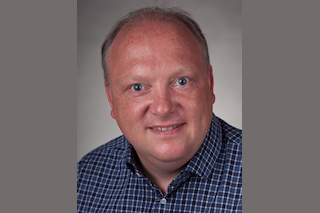 Stephen Zewinger deals with cardiovascular complications and progression reduction in patients with chronic kidney disease and supports the Institute of Medical Biometry, Epidemiology and Medical Informatics through scientific cooperation in the field of biostatistical analysis and medical information processing. The research focus of the Dinh group is on respiratory diseases such as bronchial asthma, chronic obstructive pulmonary disease (COPD) and lung tumors. 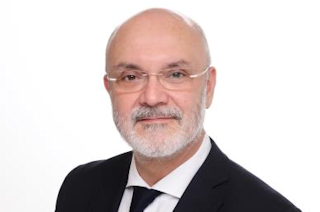 The work of the Bals Group focuses on the investigation of inflammatory processes as part of innate immunity and how these processes are involved in diseases such as asthma, COPD or lung cancer. The group of Eckhart Meese deals with questions on the genetic causes of tumor diseases and the development of the human genome. The research of the Walter group focuses on epigenetic processes of gene regulation on the cellular and organismic level, especially on epigenetic regulation mediated by DNA methylation. 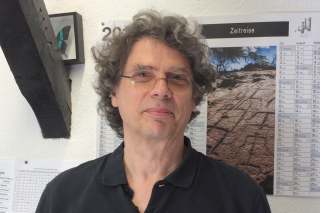 Jens Mayer analyses human endogenous retrovirus-coded proteins with regard to their relevance for human biology. The main focus of the junior research group is on a class of small RNA molecules (miRNAs) and their importance in various diseases. 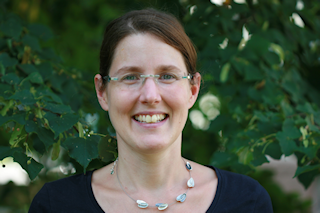 The group of Verena Wolf is focussed around stochastic modeling and analysis techniques, particularly in discrete-state Markov processes and stochastic hybrid systems that describe gene regulatory networks. The main topic of Matthias Engel`s research is the investigation of nucleoside derivatives with potential antibiotic activity. 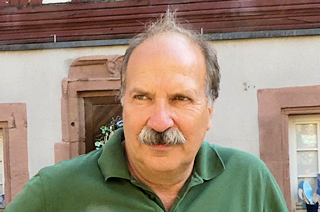 The research focus of the Lengauer group is on computational biology, combinatorial optimization in science and engineering and computational chemistry. 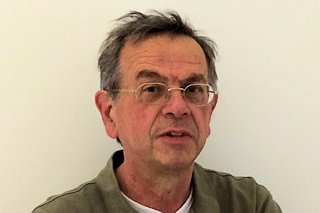 Research in the Rieger group ranges from theoretical biophysics over statistical and computational physics to modeling and simulation of biological system, with a current focus on the biophysics of the immune system, the physics of cancer and collective phenomena in active matter like growing tissues and swarms of bacteria. 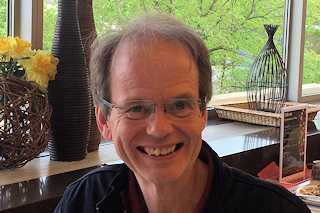 Christian Wagner’s research group focuses on self-organisation in non-equilibrium systems and the fluid dynamics of complex fluids (polymers, gels or blood). 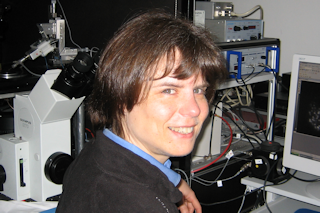 The group of Karin Wagner is investigating e.g. 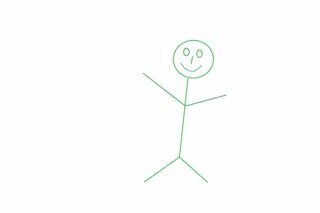 the properties of thin films using modern methods of surface physics. 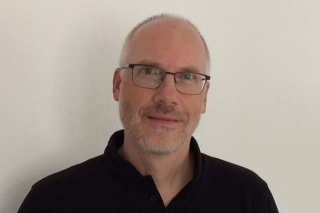 Inter alia, the group of Markus Bischoff is interested in biophysical methods in combination with microbial genetic engineering for the physical modeling of bacterial cell processes. Jean-Baptiste Fleury explores the properties of droplet based microfluidics, which might be used for combinatorial applications in chemistry and biotechnology. 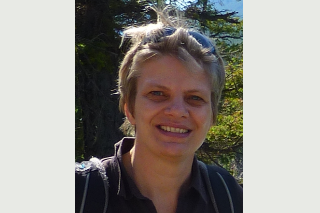 Research in the Helms group focusses on biomolecular simulations, protein protein interactions, photophysics of Green Fluorescent Protein and the development of mesoscale force fields. 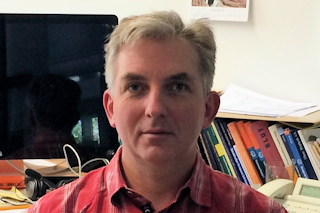 The group of Albrecht Ott is conducting research in the field of biological physics and uses experimental, statistical-physical methods to describe selected biological systems. The Santen group analizes the microscopic mechanisms that govern the dynamical evolution of selected protein and bacterial biofilms and the cargo transport driven by teams of molecular motors. 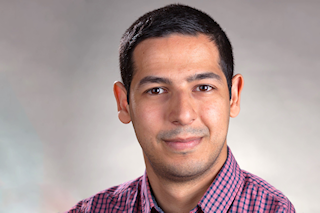 Reza Shaebani aims at understanding active transport in the presence of a processivity gradient induced by an inhomogeneous chemical stimulus in the environment or by the variation of the cytoskeletal anisotropy.